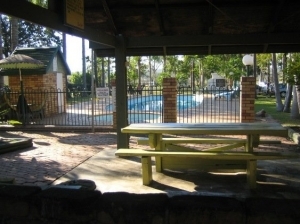 Caravan Parks For Sale - Nthn NSW Park and motel. Situated in large commercial hinterland town on 18 acres. Comprising 125 sites, 8 motel rooms, with 3 bedroom residence, separate shop and office complex, amenities block, laundry, 21 cabins, 30 on site vans, bitumen roads, pool, BBQ, camp kitchen, Will take 72 relocatable homes immediately. Zoning in place for retirement village. Asking $5.7 mil.